This is my first Flying Geese quilt! I am rather proud of it, especially as I worked out what size the pieces need to be. Anne gets to model, of course! RunswithWolves is the quilt's recipient. 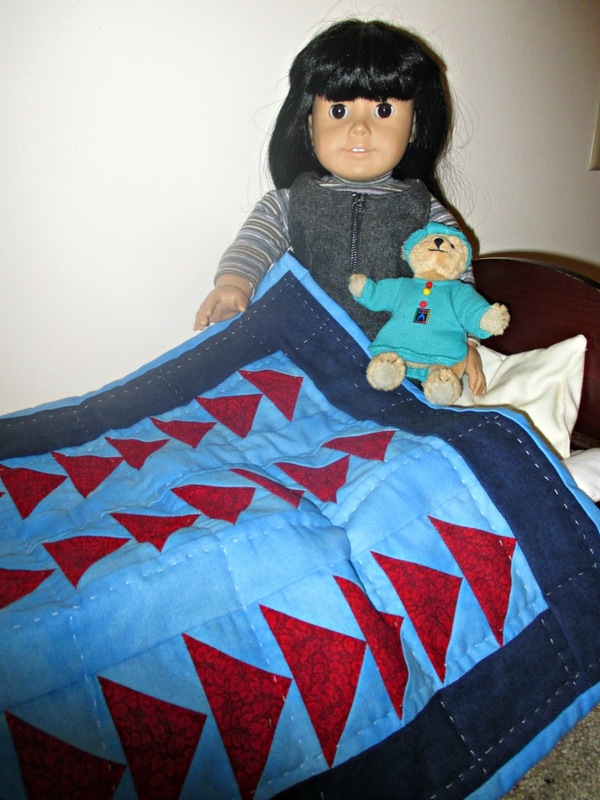 Here is a picture of RunswithWolves' doll Constance with the quilt! 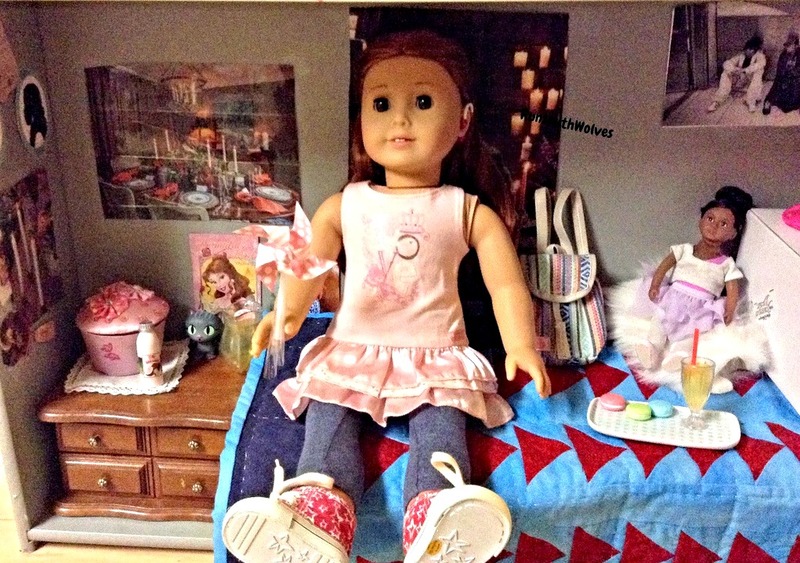 I think that the doll room is adorable, and so is Constance! Thanks to RunswithWolves for permission to use this picture!